Oh Lord Jesus, it’s a MegaFest!! You know it’s big when Sweet Brown’s got time for it! Sweet Brown is coming to town! 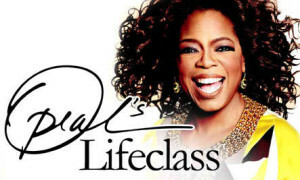 Oprah’s Life Class is coming to town! The biggest names in gospel music and preaching are all descending upon Dallas for this year’s MegaFest. There’s something for every member of the family, and this year has morphed into a Mega-Ministry minded festival. This year’s mega ministry event’s theme is beyond appropriate: Manpower, “Woman Thou Art Loosed”, “Mega-Kids”, “Mega-Youth” and entertainment and empowerment for the whole family! There’s something to do at all times of the day and the events will give positive perspective as well as round up revenue big for the BIG city of Dallas! Bishop T.D. Jakes of the Potter’s House and his team of organizers have put together one of the largest church events to ever be hosted. This mega-festival will bring together believers and unbelievers alike under the guise of fellowship and family. I had the privilege of sharing a few words with event organizer Marcus Dawson of The Potter’s House Dallas. Marcus Dawson is an award winning producer and has earned awards and accolades while lending his gifts and talents to Potter’s House and numerous other artists and ministries. According to Dawson, this year’s event is something for the whole family. It will encompass the family and will benefit the entire city of Dallas. 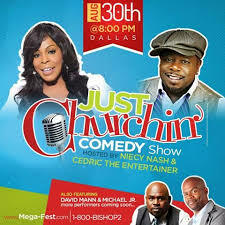 “Big D” pales in comparison to the magnitude of this year’s MegaFest. “Oprah’s Life Class” is the kick-off event and last leg of the 2013 McDonald’s Inspiration Celebration Gospel Tour wraps up at MegaFest. As if that’s not big enough, the Woman of Purpose Concert is the next night at the American Airlines Center. Music, ministry and so much more this is bigger than big, it’s mega! The Woman of Purpose Concert is a labor of love for Dawson and his family. The concert will benefit Autism Speaks, an organization dedicated to outreach and the advocacy of autism research. Dawson has for years been a staunch advocate for autism research, his son is autistic. Dawson has sponsored concerts across the country entitled “The Journey” and has partnered with Autism Speaks to increase awareness in the minority/church community in regards to autism. There will be screenings for autism as well as education to learn the signs of an autistic child. Dawson says that in the minority community, many children are screened for autism too late as opposed to their non-minority counterparts. Bishop Jakes continues to serve beyond the ordinary scope of excellence in civil and ministry ventures. Bishop Jakes has extended preaching invitations to the likes of Pastor Joel Osteen, Bishop I.V. Hilliard and Pastor Creflo Dollar, men who rival his mega ministry status. Up and comers like E. Dewey Smith also have a following and are increasing in visibility online and on television. Attendees are sure to be mega-beneficiaries; as each of these preachers command top billing on their own, yet they will share the platform that Bishop Jakes has created at this year’s MegaFest. On TBN last week, Bishop Jakes shared a glimpse into the ministry mind of this year’s MegaFest. 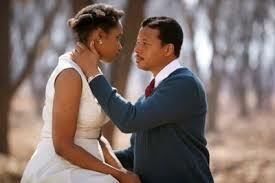 The show was highly touted amongst gospel industry heavies as well as stalwarts in the church. You’ve got to go, this is the year. If you’ve ever attended or viewed “Woman Thou Art Loosed” or “Manpower” then you know what to expect on a slight scale. This year’s MegaFest is exponentially greater than all the previous T.D. Jakes/Potter’s House conventions and will minster to you to the nth degree! In the words of Sweet Brown: “oh Lord Jesus, it’s a fire…er, MegaFest! For all things MegaFest, please visit http://www.mega-fest.com and make sure you have everything you need to get your face in the place. Marcus Dawson had one other note, Oprah’s “Life Class” convenes at 9 am on Thursday August 29 so be sure to get there in time to be a part of this phenomenal opportunity! What are anticipating most: Manpower, Woman Thou Art Loosed, Oprah’s Life Class, Just Churchin’ Comedy Show, McDonald’s Inspiration Celebration, Woman of Purpose Concert, The Code Concert or the Ball Up Championship Game and Slam-Dunk contest! Gospel Music writer for the Examiner, Win Willis, is a musician and sound engineer from Fort Worth, Texas. Win Willis is a lover of all styles of music and loves to share and discuss music with other avid music lovers. Click here to see Win Willis’ full interview with Marcus Dawson of Potter’s House.